Our soups are prepared with your health and happiness in mind. Soup Up is a specialty soup shop committed to providing our customers with the highest quality of natural and delicious soups. Our soups are low sodium, prepared with organic, locally grown, fresh vegetables, herbs and spices. Always made from scratch, each bowl nourishes the body and stimulates the senses. No additives, preservatives, dairy or oil is used ever. Vegan and gluten free soups are always available. Soupsters will experience the warmth of authentic homemade cooking with every enticing spoonful. 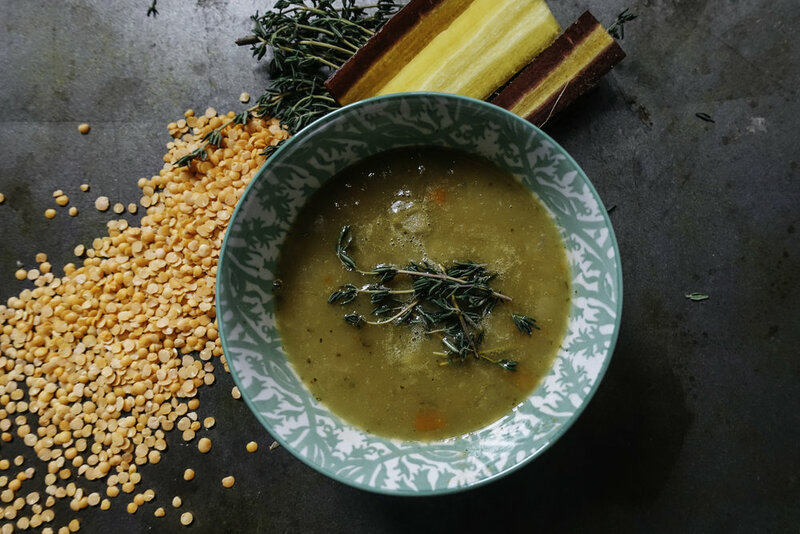 SOUP UP’S STORY BEGAN WITH A SIMPLE DESIRE: TO PROVIDE YOU AND YOUR LOVED ONES WITH FRESH, DELICIOUS, HEALTHFUL HOMEMADE-STYLE SOUPS –SIMILAR TO THOSE I ENJOYED AS A CHILD IN JAMAICA. These soups were not only comforting and satisfying, but they were naturally flavorful, filling, and absolutely delicious as well. As an adult, I desperately searched for the same quality soups as those created by the women in my family. Instead, I found high-sodium soups – many laden with heavy cream or ingredients too difficult to pronounce. In 2012, I began cultivating a dizzying array of vegan, non-vegan, and gluten-free all natural, hearty soups. Today, more than 150 options are available, all freshly and locally made in small batches. Each is low in sodium, infused with fresh herbs and spices and ground provisions grown locally and from the Caribbean and chock full of “homemade” goodness. Our soups contain no dairy, oil, butter, additives or preservatives. They taste good and are exceptionally good for you. if even with just one bowl of soup - humbles us beyond measure. Guided by this simple principle, the SOUP UP team members embrace and practice the 3R principles in our operations: we reduce, reuse, and recycle. Our soups are packaged and sold in recyclable containers.